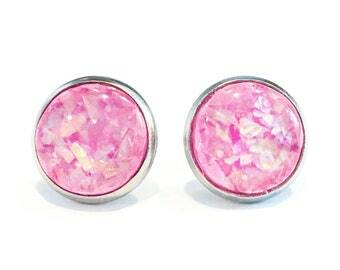 Light reflecting faceted pink jewel earrings are stainless steel studs with lightweight resin pink faux crystals. Crystal domes are faceted. Safe for most sensitive ears! Diameter of circular studs is 12mm or 0.47” across. See the pic above for a comparison photo of this size earring. Ready to ship item. Ships in 1-2 business days via first class mail normally unless otherwise specified on the main page. 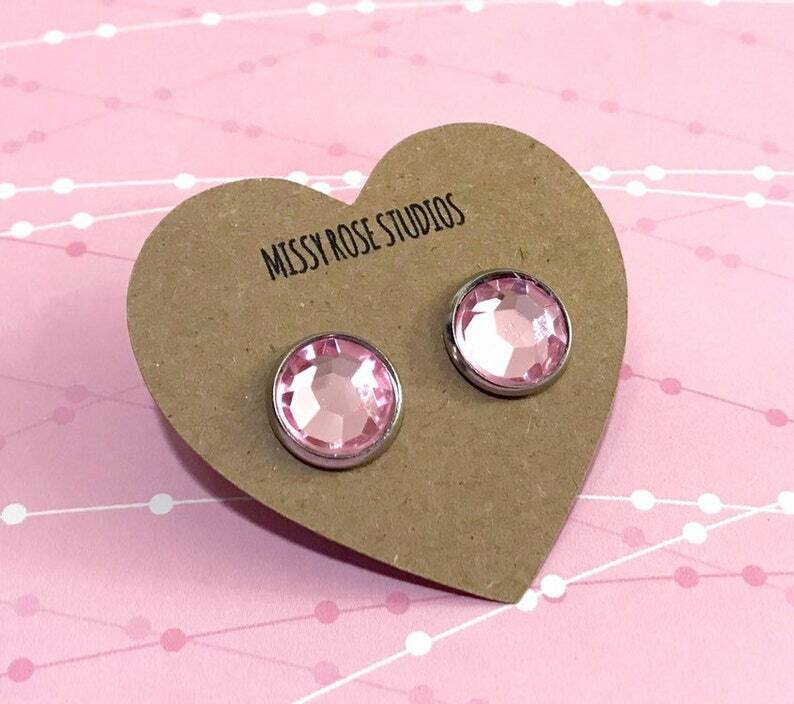 Comes packaged on a kraft heart shaped earring card inside a box perfect for gift giving. Gift wrap available at checkout for an additional fee. Please see our offerings for more stainless steel jewelry and other artisan gifts!